Gilmore Girls poster available on Etsy. 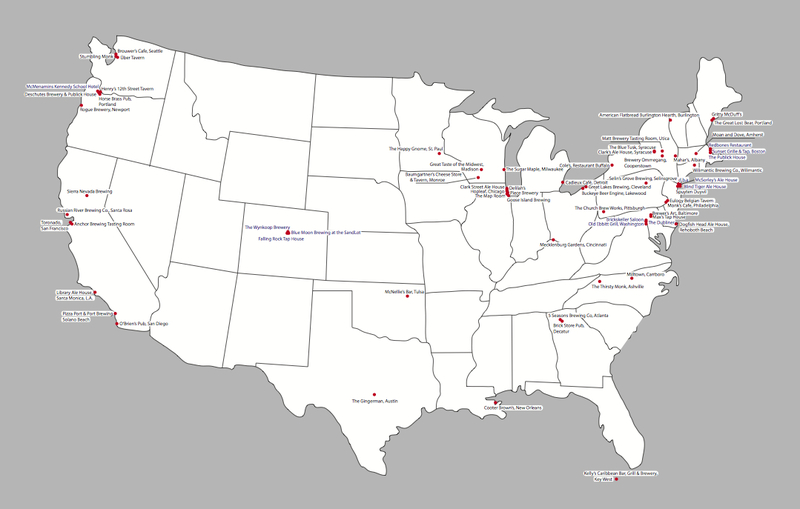 I once saw a similar map of US breweries in a London pub and wondered- why isn’t this a map of British breweries? I guess it didn’t exist back then. Lovely detail. Even at a beer per day, it’d take years to try all the breweries I think. I’m not sure which beers go with which cheese…but this oughta help! Candidate #15- In Den Uiver Proeflokaal, Haarlem, the Netherlands. Haarlem, thirty years older than Amsterdam, is a medium sized town less than 15 minutes to the west from Amsterdam Centraal (apparently far enough to deter most tourists). It has a long history in brewing and was a major centre in the 16th and 17th centuries: this legacy can be seen in street names, such as Brouwersvaart (Brewer’s Canal)- a waterway used to bring fresh water from the dunes to the city’s breweries. At its peak, Haarlem had roughly 100 breweries, but the Black Death ravaged the city’s population: by 1752 there were just 7 breweries left; by 1820, none. In the 1990s the Stichting Haarlems Biergenootschap started brewing historic recipes and Jopen beer was born. 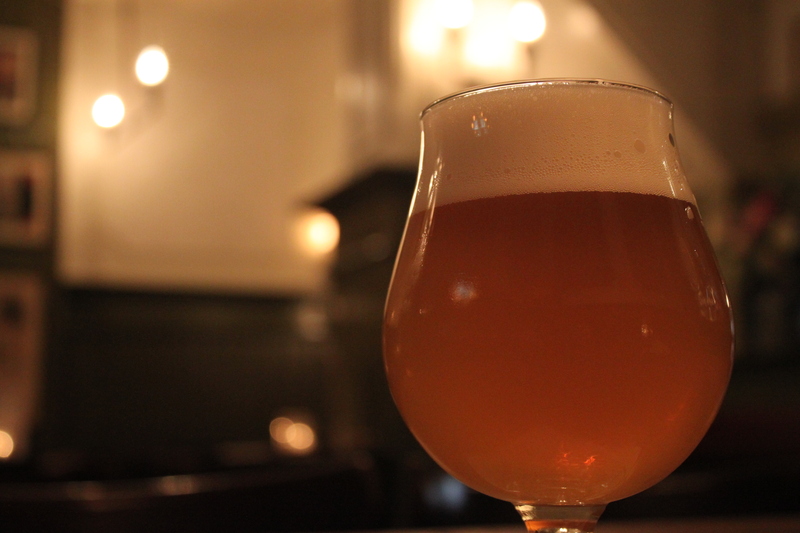 The kind folk of Haarlem didn’t exactly sit around drinking water waiting for the beery Gods to brew again: Haarlem has a robust selection of good beer bars, and per capita it must be amongst the most beer bar rich town in the world. Enter: In Den Uiver Proeflokaal. Remarkably, there are just 5 reviews on Tripadvisor, which may explain the positive reaction from staff, who seem genuinely happy to talk you through their beers and history: the snug hidden around the back was an office of the world’s oldest newspaper still in print, since 1656 (Haarlemse Dagblad), but I could believe it belonged to the Drones Club, such is the English-private-member-club-of-yesteryear feel. Another nod to the local history is the plethora of aeronautical memorabilia to celebrate the Haarlemmer Anthony Fokker, an aviation pioneer whose Douglas DC-2 (the eponymous ‘Uiver’) won its class in the 1934 Melbourne Race. In the summer, get there early and enjoy a seat outside and look over one corner of the stunning market square and Grote Kerk. Some reviewers on Tripadvisor claim that the market square is ‘Nothing to write home about”- what else is in your life? Because I want some of that. Cosy and ‘gezellig’ in the winter, great outdoor in the summer. Decent enough: 10 taps, 15 bottles. Mapped: The Best Beer Bars in the USA. 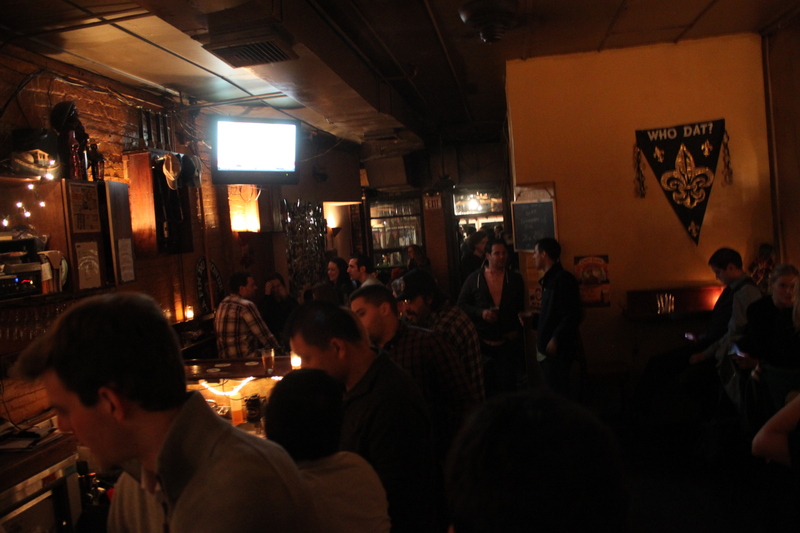 According to some people, these are the best beer bars in the contiguous USA. Granted, I took this list from a 2010 publication of Beer Magazine (I think), so it may be a bit dated, but you can’t manufacture historical whimsy, so at least some of these must still be right. I have only visited those with a blue label, so there’s much to look forward too. The Best Beer Bars in the World. Throughout, I have tried to create some sort of bell curve from the rankings: a few at the bottom of the pack, a rising amount in the middle 4-6/10 range, and then a handful of exemplary bars in a class of their own. This makes sense, because this is a (largely) thoughtfully compiled list of elite venues, so if I were to compare them to all the beer bars of the world, then the rankings would almost always be 8, 9 or 10 out of ten, and therefore unilluminating. A largely unconvincing entry. It’s just a bar. Filled on a Saturday night with yuppies and and shirted gents, barely a scenester in sight. I’m not sure what that is indicative of, perhaps that they have given it up for the masses. They probably weren’t particularly sad to see it leave. I might sound harsh; after all, they serve beer. But from the range to the decor, there is nothing extraordinary. 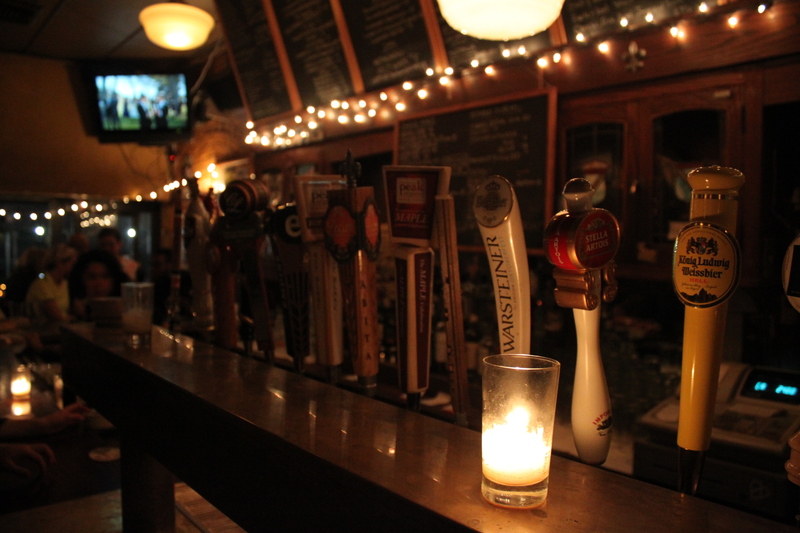 Nothing that lets it hold a candle to the 150 best beer bars in the world, or even a bunch of others in the same city. Things on draft that don’t work on draft- Old Speckled Hen on nitro cask anyone? Thought not. It’s embarrasing to think this is what American’s think English ale tastes like. People have probably supped it and said ‘Nah, bro, I don’t really like English ale’. You are doing us a disservice. 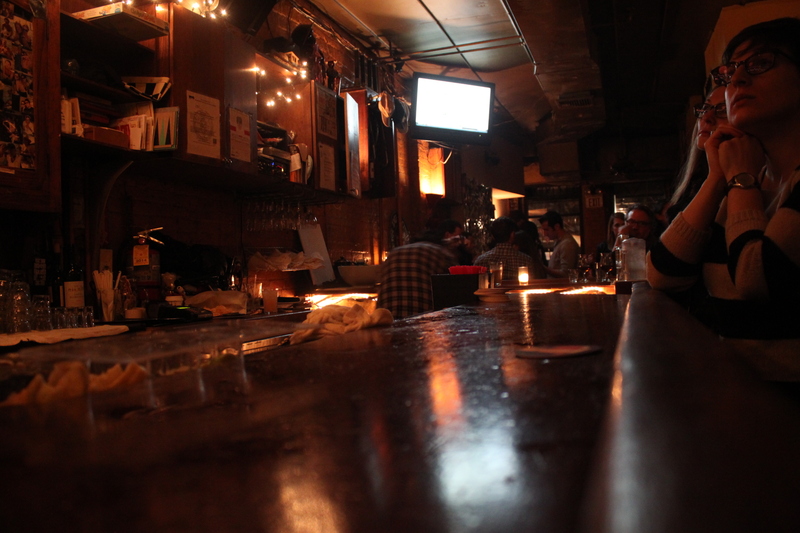 Maybe it suffered for being a Saturday night, but I felt very little rapport for the place. Would not like to idle away hours in here. 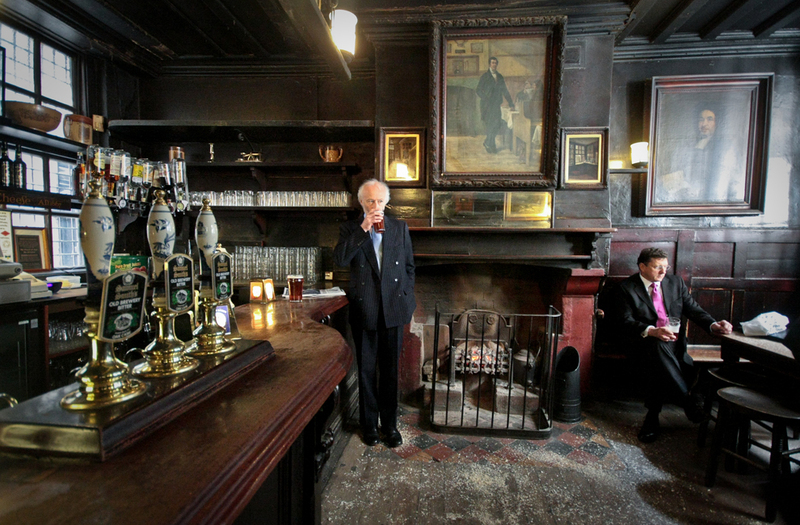 Just off Fleet Street, London (but oddly off Google Maps), is a museum of a pub. A heavyweight holding a candle to anywhere. 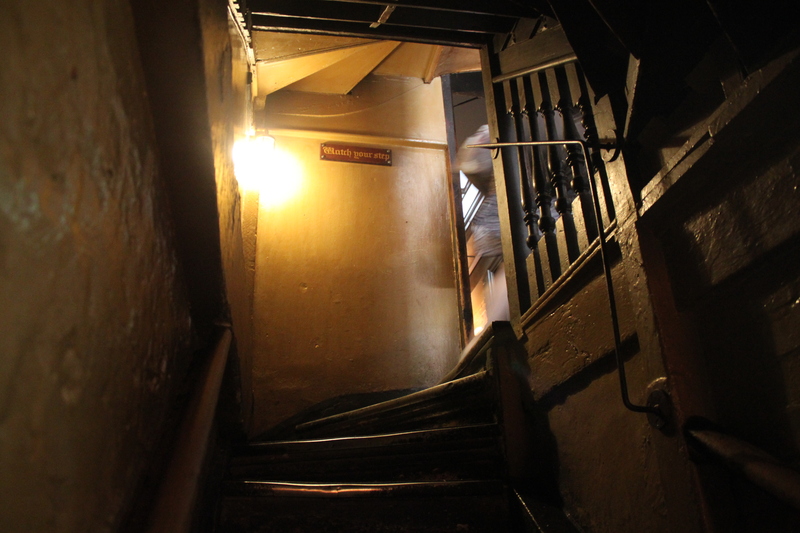 Nestled down an alley, it is has been worth seeking-out since at least 1667. Even Dickens thought so. Old gent by the bar not guaranteed. Photo stolen shamelessly from beerlens.com. The front bar is probably the best- ancient yet robust-looking dark wood encloses a quaint little room with a fireplace and more pumps than you’d think one would need for the amount of customers that could be squeezed in. The floor is covered in sawdust, as this was the normal way to mop up spills and debris and old people fear change. 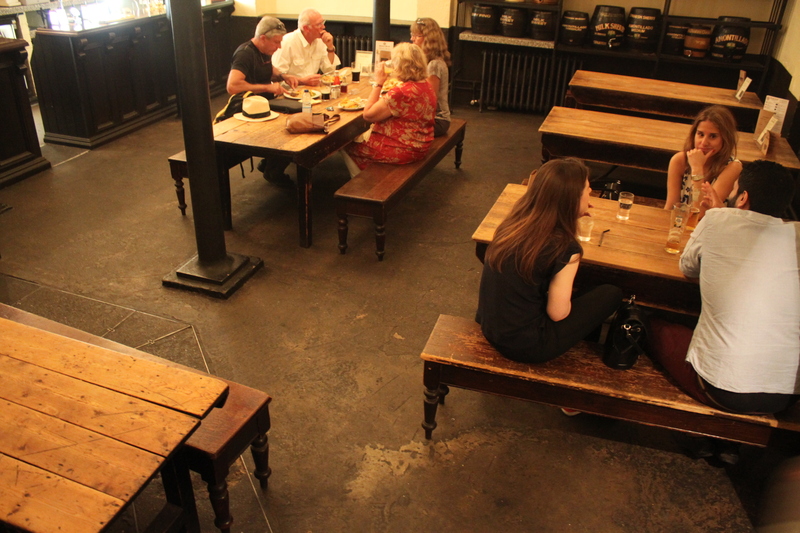 The excellent front room will of course fill-up quick, but Ye Olde Cheshire Cheese is the gift that keeps giving; there is an overflow room on the ground floor, then a further two basement levels. People will have preferences, but you can’t really lose. Apparently the food is tosh, but who really cares? It’s not that sort of place; not that sort of blog. Rebuilt in 1667. No need to improve it since. 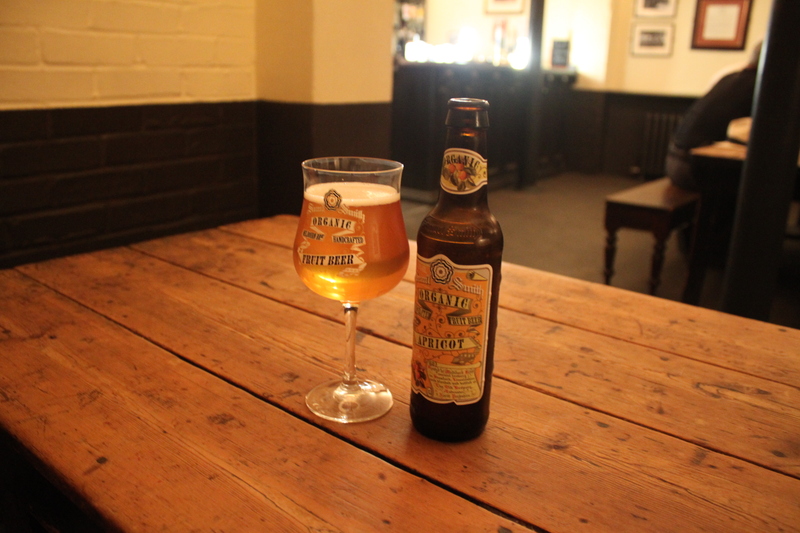 Samuel Smith’s pubs are a stalwart on the English ale scene. 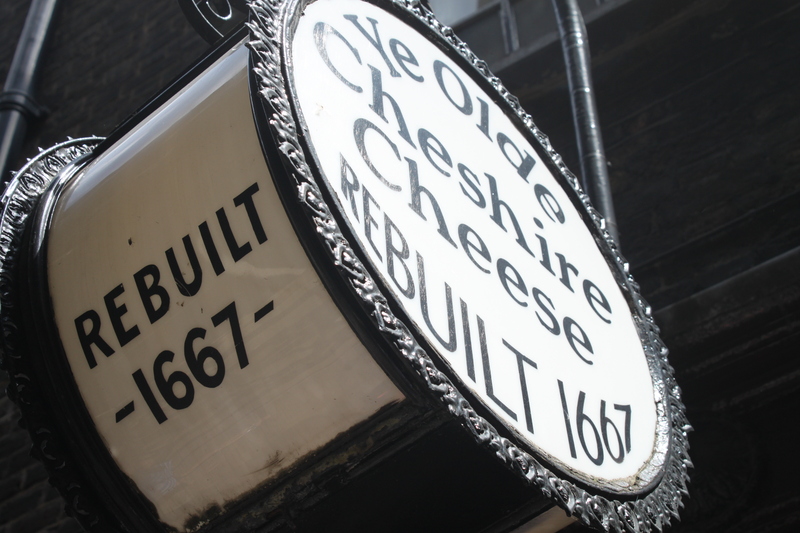 Not unique to Ye Olde Cheshire Cheese. Not complaining. The UK is blessed with (an unfortunately dwindling number of) old pubs. But this one stands out- did Charles Dickens drink at your local? Candidate #11- Café De Dokter, Amsterdam, the Netherlands. Café De Dokter has been in the Beem family since 1798; now into the 6th generation, currently in their 40th year. The name derives from it’s first owner, a surgeon, and the close proximity to a hospital, making this a regular haunt for physicians. 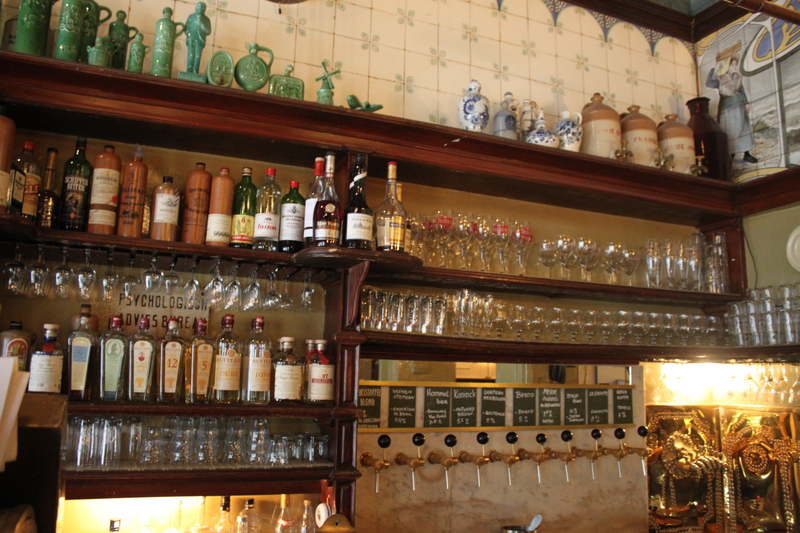 At just 18 meters squared, this is the smallest bar in Amsterdam (a hotly-contested accolade). The walls are adorned with all sorts of medical paraphernalia, some of which has a husk of dust. 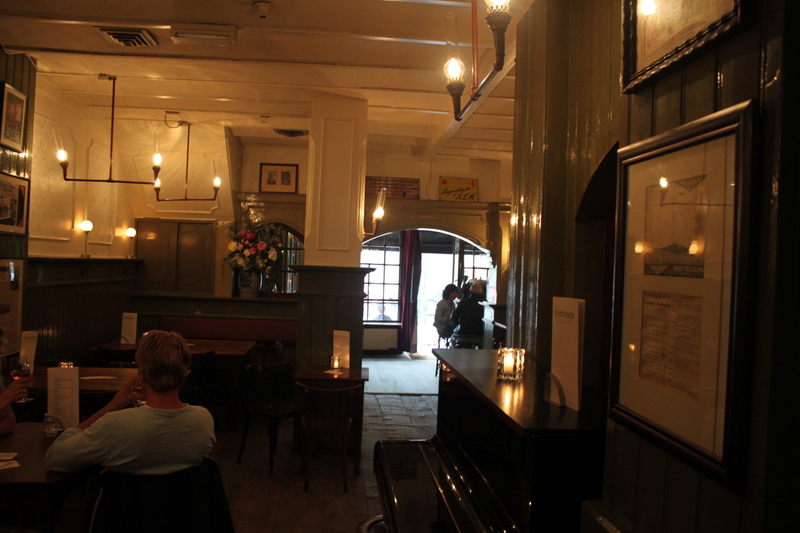 The lighting is sparse, low and often candlelight, adding to the cosy, gezellig feel of this drinkers’ den. It’s easy to get very comfortable and hunker down for hours. It’s a far cry from the adjacent chaos of Kalverstraat and the bustle of het Spui. On Fridays, it is possible to pick up a new read at the book market next door, then escape from the rain in this splendid hideout. 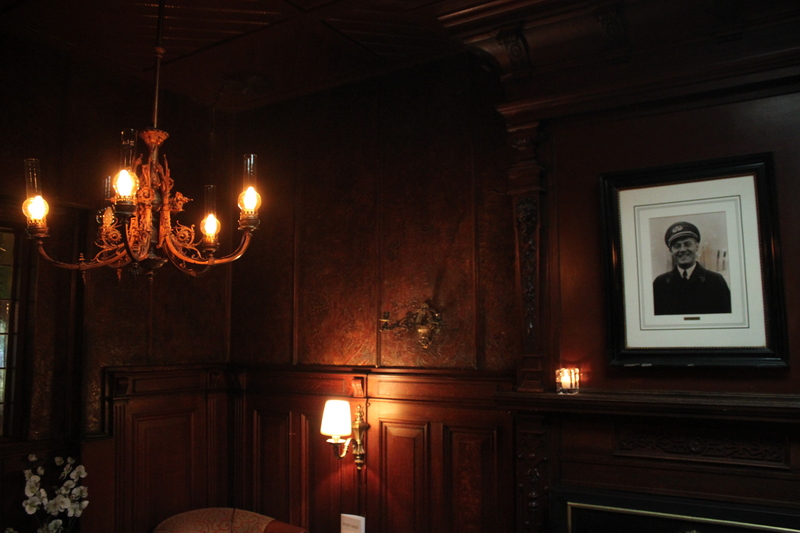 Dark wood panelling adds order to the centuries of hoarding that adorns most of the walls. It can be empty and still feel atmospheric. Authentically old and charming. Better for Jenever, there are some decent enough Abbey brews, and La Chouffe is usually a crowd-pleaser. Few bars can match the curiousness of the interior. Excellent, family service too.